Hi everyone. Welcome to my web page, my name is Destiny. I’m the official mascot at the Kings Park Animal Hospital, but I have a bunch of cat cousins and k-9 cousins who will be weighing in from time to time. I want to thank everyone who have sent me get well cards and have asked about my health. I was diagnosed with chronic kidney disease about 6 months ago. I don’t like the treatment, but boy do I ever feel well after I have one. My signs were pretty typical. I simply wasn’t as playful as before slept a little more and was grumpy. My mum, Dr. Ley, had done my 6 months blood test 2 months previously and all was fine, but, she knew me and repeated those blood tests again. This time the kidney values were high. You might not know but 1 year of your life represents 7 years of ageing in a dog. That means even though I had those blood tests 2 months earlier it was really 14 months ago to my body. The basic treatment for me was prescription diet which I happen to love and subcutaneous fluids given underneath my skin every other day, which I hate. But the fluid treatment only takes 5-6 minutes and then I get a piece of chicken so not too bad after all. After my fluid treatment I feel like a puppy again. 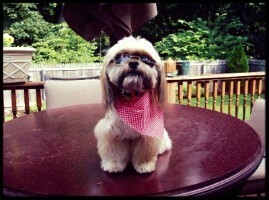 Each week visit my page to hear all about my adventures here at the animal hospital. I've got some great news​ to wag about! Did you know that scientists have now discovered that calico and tortoiseshell cats are more feisty than other cat colors. Research by vetenarians at the university of California have found that cats with calico and tortoiseshell coat patterns tend to challenge their human companions more often than cats with other coat patterns. These hair pattern cats hiss, chase, bite, swat and scratch more during interactions with humans. Gray and white and black and white coated cats also tend to behave in a similar manner as calico and tortoiseshell. Cats with solid color hair coats of any color are far less likely to exhibit aggression toward humans. These scientists are now studying genetics to see if there is a link between coat color and personality. 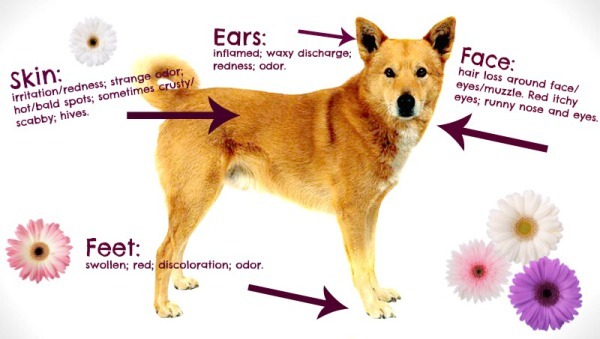 Does your dog suffer from environmental allergies, skin inflammation, flea allergy inflammation, or itchy skin? Then you should feed them the new Hills product, Derm Defense food. 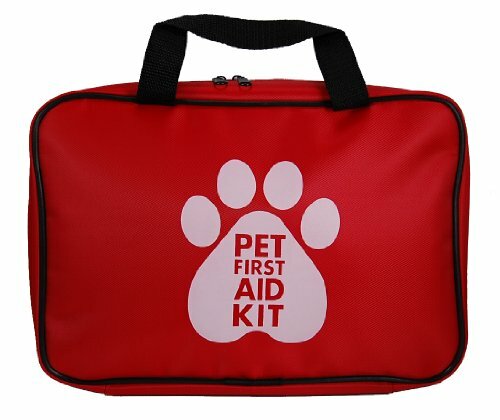 How will this product help your pet? It will strengthen the skin barrier, and soothe and nourish the skin and coat. It is a holistic long-term solution, supporting a healthy immune system. It comes as a dry formula or a stew-canned formula made with no corn, no chicken by-product meal, no artificial colors or flavors, and no preservatives. Call 631-979-9035 today to order your first bag or case of food. Remember, Hills guarantees all their products for palatibility. 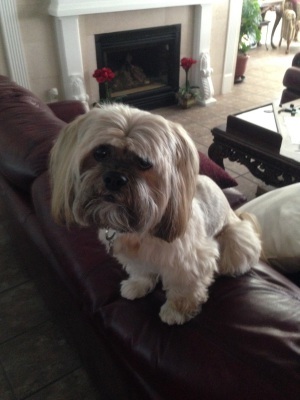 If your dog doesn't like it, simply return the food to the animal hospital for a refund. 1. Cover the basics. Secure an up-to-date tag on your pet's collar, and make sure to use a leash when you head outdoors. Consult your veterinarian for flea and tick control options, and always keep your pet's vaccinations current. 2. Be wary around water. 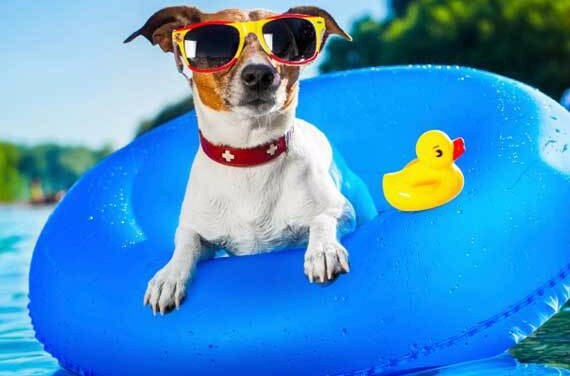 Not all dogs are natural swimmers, so watch your pooch when you're near the pool, beach, or lake. On trips to the ocean, make sure your pets don't drink the salt water--it upsets their stomach, just like yours. And watch those currents; the best paddling dog can struggle against a mean undertow. 3. Keep cool. Schedule walks in the early morning or evening; dog paws hate hot pavement. You can also make dog exercise sessions safe, by stopping for drinks of fresh water and finding shady spots for necessary panting breaks. Some pet owners also help prevent overheating with short fur shaves for cats and dogs in the summer. 4. Watch for warning signs. Heat stroke is an issue for pets, too. Be on the lookout for early symptoms: excessive panting and drooling, bright red gums, weakness, and balance problems. As the condition worsens, pets may experience labored breathing, lethargy, and even seizures. 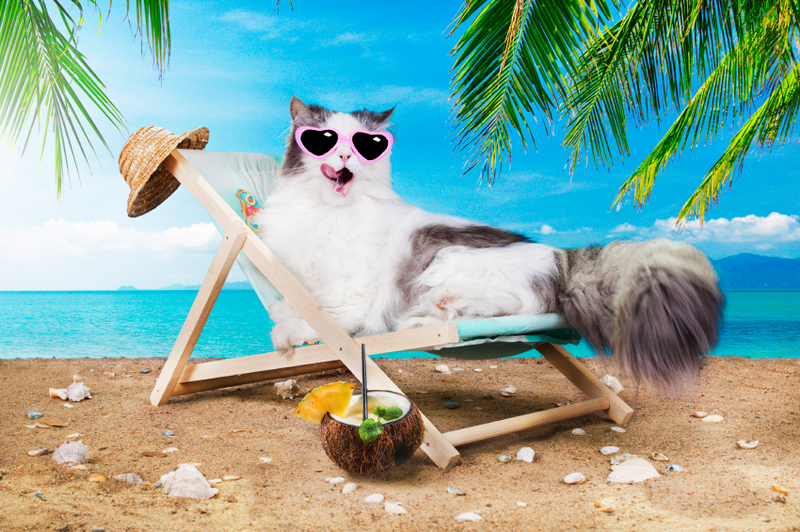 You can cool down an overheated pet with cold water or towels, and by offering ice chips or small bowls of water. 5. Safely see the sights. 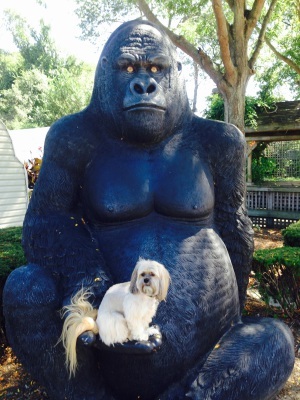 Taking your pets for a ride in the car or minivan? 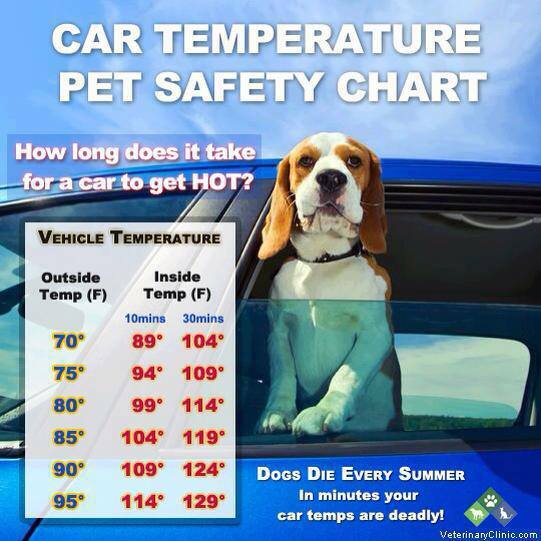 Never leave them inside--windows up or down--on hot days. Keep dogs' heads in the car while driving; inner ear damage, lung infections, and injury happen when man's best friend sticks his head out the window. Buckle up your dog with a harness or seat belt for dogs, or a crate/carrier secured with a seat belt. And never let dogs ride in the back of trucks. A crate in the truck bed keeps dogs from bouncing out in an accident, or being hit with debris on the road. 6. Party with prudence. Be wary of what your cats and dogs can get into when your celebrate. Chocolate, raisins, and onions, can be bad for dogs and cats, and alcohol is also a no-no. If your pets get anxious or fearful around fireworks or big crowds, keep them away from sparklers and concerts. 7. Protect against pests and poisons. Fleas, ticks, mosquitos, and more seem to be everywhere in the summer, so consult with your veterinarian on the best pest preventives to use for your and your pets' lifestyle. Also, keep your animals off areas sprayed with chemicals or insecticides, and always store fertilizers and other poisonous substances, out of their reach. 3. Handle your pet's muzzle and touch his lips. 1. 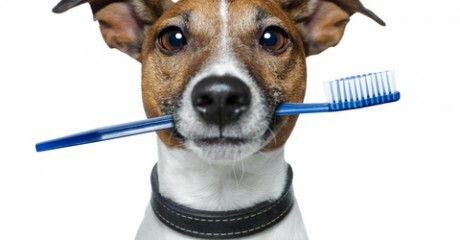 Start brushing your pet's teeth early (8-12 weeks old is best). 5. Consider other dental aids. Work up to rubbing the teeth and gums with your finger. Put a few drops of water flavored with low-sodium chicken or beef bouillon for dogs and tuna juice for cats, in your pet's mouth and he'll begin to look forward to these sessions. You can also rub the teeth gently with a bouillon-or tuna-flavored washcloth or piece of gauze wrapped around the end of your finger. A large selection of veterinary toothpastes, oral rinses, and gels are available to you. Our veterinary team can help you select the right one for you and your pet. These products all enhance your home care program, but daily brushing is best. Avoid human toothpaste because flouride and detergents can be harmful if swallowed. Hydrogen peroxide can be harsh on the gums, and shouldn't be swallowed either. Baking soda has a high sodium content and should be avoided in older pets. If your brush every day, your pet will become familiar with the routine when their permanent teeth grow in. Please note: you may need to stop brushing while your pet loses his baby teeth. His mouth will be a bit sore, and handling may cause more pain. Continue once all permanent teeth come in. 2. Work with your pet's mouth. Be patient and make it fun. Use love and praise, and try to practice at the same time each day to establish a routine. Choose a quiet time, such as late in the evening. Or, if your pet is highly motivated by food, try just before dinner so he'll be rewarded for his cooperation. 4. Finally, use a finger brush or a soft veterinary or human toothbrush to brush the teeth using the bouillon water or tuna juice. 6. Pick kibble and rubber chew toys that will help keep teeth clean. Hold the brush at a 45-degree angle to the tooth and brush gently back and forth, or in a circular pattern from gum to tip. Brushing the tongue side of the teeth is less critical, but still good. Offer rewards and treats when your pet allows you to brush. Avoid natural bones, which are hard enough to fracture teeth. Our veterinary team can recommend a complete and balanced professional diet to use at feeding time as a treat. It's no secret that pets and cars on a sunny day do not mix. If you see a pet in danger, say something. -Stay with the pet until help arrives--you can save a life! 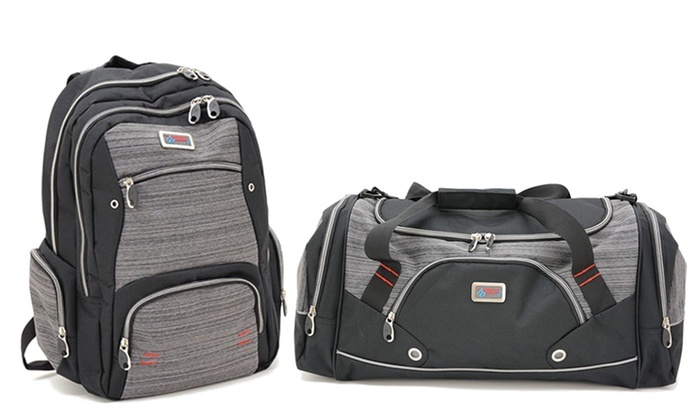 Need to run errands? Do your pet a favor and leave them at home. Never leave your pet unattended in the car, even with a window cracked, and especially not in the sun. If you need to take your furry friend with you, have another person stay with them in the car and keep the air conditioning running. Temperatures rise faster than you think. Does your dog love to play in the water during the summer? It's a great way to cool off, but also a great way for them to wind up with an ear infection, especially for dogs with floppy ears. Drying your pup's ears with a towel after they play in water helps prevent ear infections. Have a pet? Have a plan! Leave no animal behind. -For any pet able to wear a collar, write the pet's name, family's last name, and a cell phone number on it. Poor dental health can be a real kick in the teeth for four-legged friends. But protecting our pets' pearly whites means more than banishing bad breath; dental disease doesn't just affect the mouth--it can cause other health problems as well. Serious forms of kidney, heart, and liver disease have all been linked to bacteria entering the bloodstream from a dental infection. It is estimated that by the age of three, 70-80% of dogs and cats already show signs of periodontal disease, so it is important to commit to a dental health regimen early. Preventing periodontal disease can add two to five years to your pet's life! Periodontal disease develops when food particles and bacteria accumulate along the gum line and form plaque, which, when combined with saliva, hardens into calculus. Untreated calculus causes inflammation of the gums, or gingivitis, one of the first stages of periodontal disease. Advanced periodontal disease can lead to bone loss, tissue destruction, and pus formation in the spaces between gums and teeth. Yuck! A healthy mouth has shiny, white teeth, pink gums with no redness or swelling, and breath that--while maybe not minty fresh--is at least not awful. The first sign of periodontal disease is a brownish-gray deposit along the teeth and gums, as well as redmess and swelling of the gum line. Foul breath is a hallmark of dental disease, and many pets become reluctant to chew or even eat as oral pain worsens. Excess drooling, swelling of the face, sneezing, and discolored teeth are other signs of trouble. We strongly recommend retesting all negative or +1 kittens, healthy or sick, 8 weeks after their initial negative or +1 (uninfected) test. 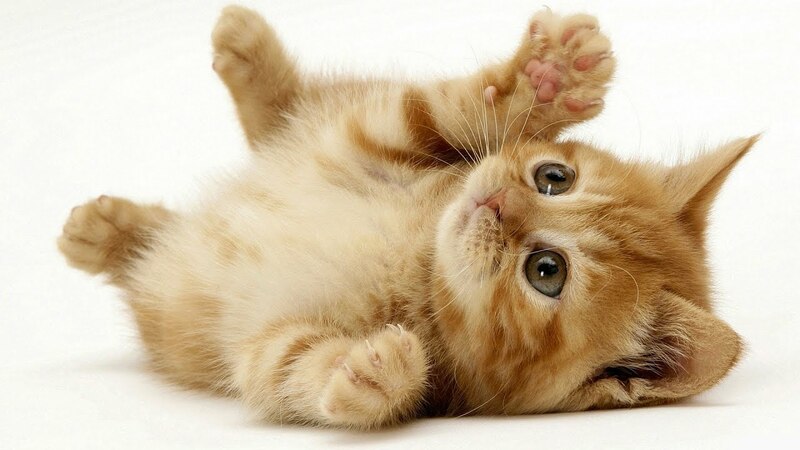 In order to encourage retesting of kittens, we offer a reduced fee of $35. The reduced fee testing of kittens only applies to kittens retested while they are less than 1 year of age. Call us at 631-979-9035 to set up an appointment. All kittens, at any age, should be screened for Bartonella infection at their first examination because they transmit Bartonella to people more efficiently than do adult cats. The negative test most likely represents a truly uninfected kitten, however, kittens under 6 months of age may have recently been infected and have not had enough time to develop antibodies. It takes as long as 8 weeks after infection for cats to develop antibodies against Bartonella, which is thereason we recommend retesting negative or +1 kittens, 6 months of age or younger, 8 weeks after their initial test. 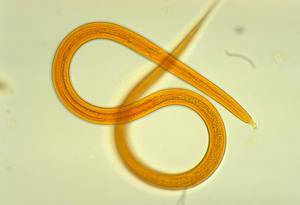 Roundworms are the most common intestinal parasite of dogs and cats. Pets become infected by swallowing roundworm eggs or larvae (immature worms) found in contaminated soil or feces, or by eating infected rodents, birds, and certain insects. Puppies and kittens are commonly infected by the mother while still in the uterus. Swallowed larvae travel through the body to the intestine, where they develop into mature worms. There, adult females deposit eggs, which pass with the stool and develop into infective larvae. A diagnosis is made by identifying the eggs, which pass with the stool and develop into infective larvae. Human infection with roundworm larvae is possible, but does not occur frequently if good hygiene is practiced, since eating contaminated stool or soil is necessary for infection. Children should be taught the importance of cleanliness when playing with animals, especially litters of puppies and kittens. The best insurance against human infection is keeping your pet free from roundworms by regular stool examination and treatment if necessary. 1. Stool samples should be examined microscopically at regular intervals. Dr. Ley will advise you regarding correct times to do this. 2. Good sanitation is essential. 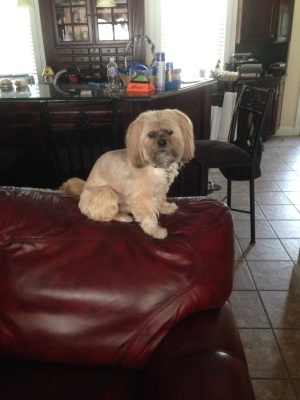 Remove stools promptly from the area where your pet is confined. 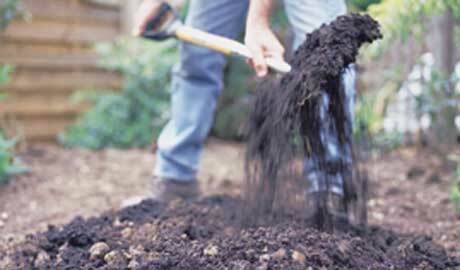 Turning the soil over to a depth 8-12 inches after your pet is free of worms. For successful treatment, medication must be given as directed. Call us (631-979-9035) if you cannot give the prescribed medication. In some cases, hospital treatment is recommended. A stool sample should be checked a few days after the last treatment to ensure that all worms have been eliminated. If a pet ingests a cigarette, it can take a few hours before clinical signs occur, although some pets may have spontaneous vomiting. On the other hand, e-cigarette liquid is rapidly absorbed by the gums and skin, and an animal can exhibit clinical signs within 15-20 minutes. If your pet ingests nicotine, in any form, veterinary care is needed for treatment and prognosis. Call Animal Poison Control (1-888-232-8870) or our office at 631-979-9035. We all know that "smoking is bad for you," but how does it affect our pets? The increasing number of available electronic cigarettes is posing a problem for our canine and feline populations. 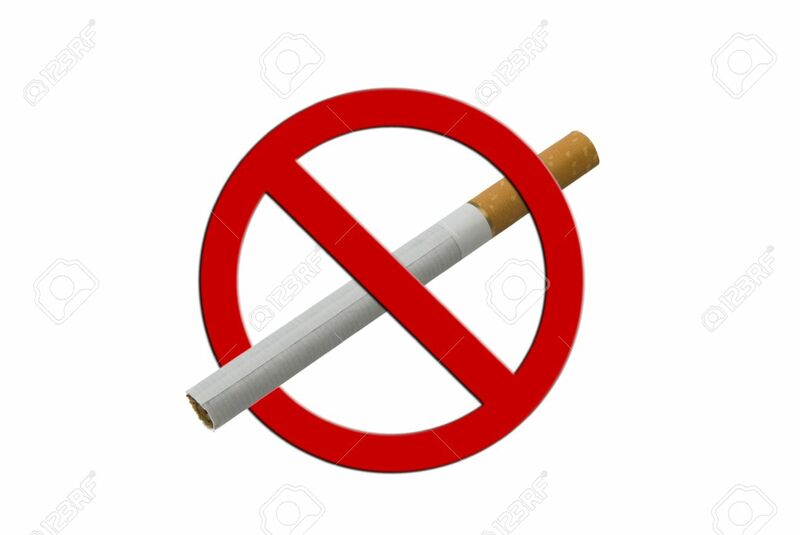 E-cigarettes convert nicotine solution into a vapor instead of it being smoked. These liquid cartridges contain high doses of nicotine that can be fatal to pets. A 1-millimeter cartridge can contain up to 36 milligrams of nicotine, and the refill containers can contain up to 2,000 milligrams of nicotine. A regular cigarette can contain up to 12 milligrams of nicotine. A minimum lethal dose in dogs has been reported as anywhere from 1-5 cigarettes, or just one cartridge from an e-cigarette. Chewing tobacco is also a danger to pets. It contains many sweetening additives such as honey, sugars, syrups, molasses, licorice, and other flavoring agents to increase palatability, which may increase the probability of an animal ingesting these products.